The poker world has yet to find another Chris Moneymaker, who inspired a boom after winning the 2003 WSOP Main Event. And while it doesn’t look like a Moneymaker replica is coming any time soon, Forbes thinks that Jay Farber could come pretty close. Forbes recently documented Farber’s rise from a Las Vegas VIP host to the runner-up in the 2013 WSOP Main Event. They described how a man with just $2,155 in poker winnings prior to the Main Event worked his way into a position where he could collect a $5,174,357 payout. Some of the pros whom Farber is talking about include Ben Lamb, Shaun Deeb, Keith Ferrer and Brent Roberts. And it’s likely that the 29-year-old will continue befriending poker pros along the way. Now, as Forbers wonders, the big question will be whether or not Jay Farber ingrains himself in the poker world. If so, maybe he can become the amateur to poker star that Moneymaker did a decade ago. Of course, it won’t be nearly to the degree that Moneymaker inspired, when millions of people took up the game after seeing him win the ME. But based on his interesting day job and new-found poker success, Jay Farber could definitely be an inspiration to new players who are just starting out. Every year, the WSOP is a virtual who’s who of poker since the game’s top pros descend on Las Vegas to compete for gold bracelets, glory, and of course major cash. The 2012 WSOP has certainly been no different – save for the fact that a couple of very notable stars have pretty much been MIA. One of the world’s top cash game players in Tom Dwan and the 2011 WSOP Player of the Year in Ben Lamb have both been noticeably absent in the headlines this year, which had some people scratching their heads about the matter. However, these absences were recently explained after both players showed up to the $1 million buy-in Big One for One Drop tournament. Tom Dwan has never been one who hangs his hat on poker tournament accomplishments or WSOP gold bracelets. That said, it’s no surprise that he was in Macau for most of the 2012 WSOP playing in the massive cash games there. While people are tight-lipped about what happens in Macau high stakes poker games, rumor has it that the blinds reached $3,500/$7,000 at one point. Apparently, the only thing that brought Dwan back was the $1 million buy-in tourney that he registered for. And it’s been a decent decision so far since he’s ranked 10th in chips (out of 37 remaining players) after Day 1. Of all the players missing at the 2012 WSOP, Ben Lamb is no doubt the most puzzling. Actually though he hasn’t really been missing, but rather just dividing his time between cash games and WSOP tournaments. As for the latter, Lamb has yet to run good and cash in any tourneys yet. However – just like Dwan – he too is fairing pretty well after ending Day 1 of the Big One for One Drop with 5.77 million chips (currently 8th). Unfortunately, we’ve seen a number of online poker cheating incidents lately, and some of the biggest names in the game are involved. So without further delay, here is a look at the major online poker scandals, and a description of what went down in each instance. Jose Macedo (superuser scandal) – Jose “Girah” Macedo, who was once labeled the Portuguese Prodigy, was caught in an elaborate cheating scam where he referred unsuspecting friends to a supposed fish named “sauron1989.” Little did anybody know that Macedo was actually playing as sauron1989. He then asked his friends if he could view the match via Skype’s shared screen feature (to share poker tips), which they obliged to since it was unknown that he was also sauron1989. This gave Macedo access to his opponents hole cards, and essentially made him a superuser. Haseeb “Dogishead” Qureshi (chip dumping) – Qureshi, who is Macedo’s poker friend, engaged in chip dumping, which involves intentionally playing hands bad so another player at the table can scoop up the chips. In this instance, Qureshi found chip dumping as the easiest way to deliver Macedo $100k since he backed the Portuguese Prodigy. However, this also enabled Macedo to win a Lock Poker challenge, and the victory was later rescinded after Lock discovered what happened. Qureshi has since quit online poker in light of the most recent Macedo scandal (they had close ties, Qureshi’s name is officially ruined). Dan “Jungleman12” Cates (multi-accounting) – Cates was also linked to both Qureshi and Macedo, and he recently admitted to playing on three of Macedo’s online poker accounts. 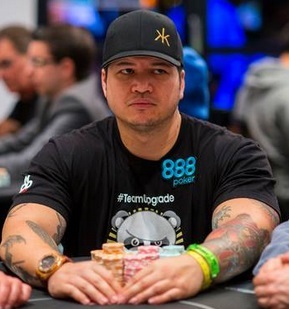 In an interview, Cates lied about not being involved in multi-accounting, but later admitted to playing through Macedo’s accounts in several $25/$50 PLO sessions. David “Chino” Rheems (not paying money back) – Rheems has no connection to the aforementioned players, but he’s still earned a bad rap by borrowing money from players, and not paying it back afterward. At one point, Rheems was said to owe Will Molson, Tom Dwan, Joseph Cheong and Ben Lamb over $200k collectively. After winning the first Epic Poker League event, Rheems reportedly started paying people back with his $1 million in winnings. 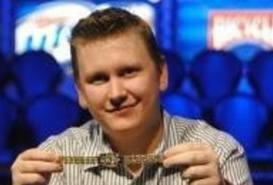 Ben Lamb has a lot of live poker tournament cashes, which includes a 14th place finish in the 2009 WSOP Main Event. Even still, nobody remembers who finished 14th in a Main Event – unless it’s the last woman standing of course – and Lamb was largely unheralded going into the 2011 WSOP. But this has changed in a huge way, including the fact that he now leads the 2011 Main Event after two days of play. Now as we all know, the odds are against Lamb holding onto this top spot and winning the $8.71 million top prize. However, it’s a mute point if he fades away and doesn’t even grab a significant cash here. After all, the Tulsa, Oklahoma native kicked things off by finishing second in a $3k Pot-Limit Omaha event, which earned him $259,918. Later on, Lamb would put himself on the map in a big way by winning the $10,000 Pot Limit Omaha Championship ($814,436). Want some more impressive results? How about when Lamb finished 12th in the Limit Hold’em 6-handed Championship and 8th in the $50,000 Players Championship. When you tally up all of Lamb’s winnings from the 2011 WSOP, he has over $1.3 million among his four cashes. And he has an excellent chance to add even more money since he’s doing so well in terms of chips after two days. Moving away from Lamb for a moment, it’s also worth mentioning that Patrik Antonius is also going strong after the first two days. The Finn doesn’t play a whole lot of live poker anymore, but perhaps he’s turning over a new leaf since Full Tilt Poker still isn’t running real money games at the moment. It would be nice to see a big name like him make a deep run in the tournament.